Many offices use email as a critical communication tool, but it's easy for your inbox to become a source of stress. You have important business messages, useless newsletters and unending spam vying for your attention. It's no wonder Adobe discovered people spend an average of 3.2 hours per day checking their work email. Don't let email stress rule your work life -- stay sane with these email organization tips. Outlook provides several useful features for sorting through your email flood. You may already use folders to sort messages into different departments, teams and other categories, but you can automate this process by creating rules in Outlook. If messages from certain senders need immediate action, you can also create notifications for these emails. Spam email takes up your valuable time and can be the source of financially damaging phishing attacks, which costs a typical large company $3.7 million annually, according to Ponemon. 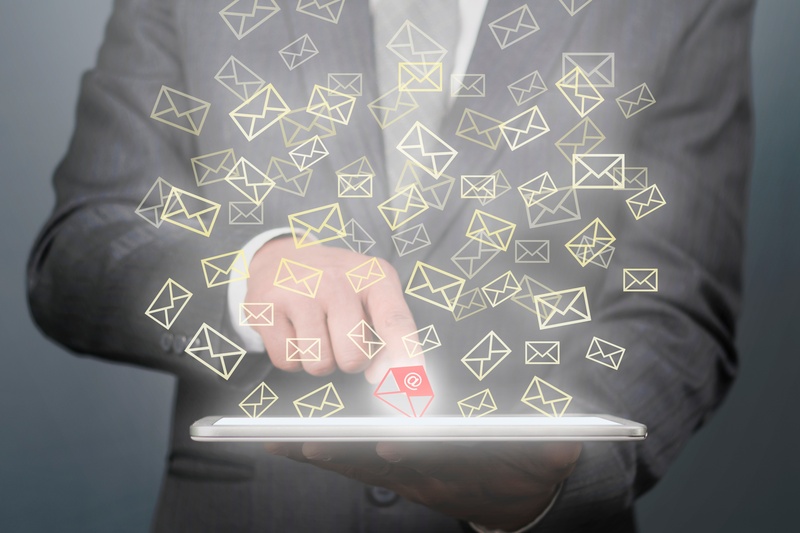 Stop these emails from reaching your inbox by using email clients with strong spam filtering. You can create filters and rules to send potential harmful emails to an unseen folder and block repeat spam offenders from making it back into your inbox. Do you really want all those industry newsletters filling up your inbox? Or what about promotional emails from a business you purchased from once? Take the time to unsubscribe from any unwanted senders so you cut down future email volume. You have a filing system for paperwork, so why not put one in place for your email inbox? Most email clients allow you to create folders, categories or message tags to aid in sorting. You can prioritize emails from your boss or create categories for different projects you're working on. Stop putting off emails until later. If you're going to get around to answering an email "eventually," it ends up creating an overwhelming pile of messages a few weeks down the line. Reduce your email clutter by filing or addressing important emails and deleting the rest often. Your email inbox doesn't have to take control of your work life. Keep your productivity and sanity by using these email organization tips to regain control of your messages.